This one is a fab idea for brides having a North-South wedding! 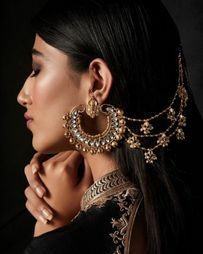 Yup, a fusion bridal look is very trending these days, especially if you're having a mixed-culture wedding, and it's not just with the outfits that you can have a fusion-inspired look, the jewellery can play a big role in that too. 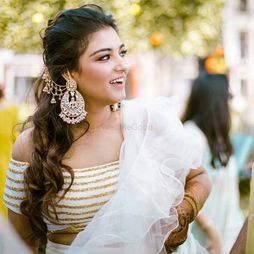 So here are some brides who nailed that, with some statement fusion jewellery pieces, and we absolutely loved them! 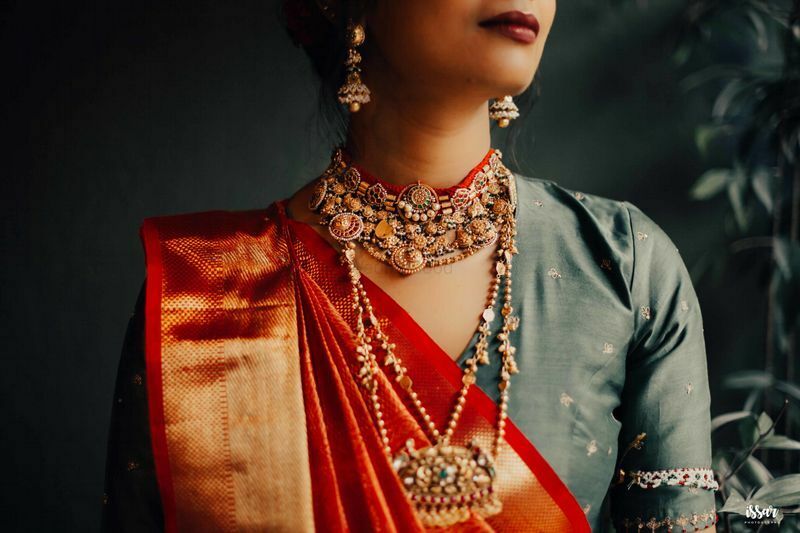 This bride wore an offbeat Sabyasachi Lehenga in dark green, but paired it with this stunning temple jewellery choker and necklace with pearls which looked absolutely delightful and unique! One of our most favourite pieces we've loved off late. Diamonds and emeralds layered with beaded jewellery that look stunning! Now that is one South Indian bride who did things differently! 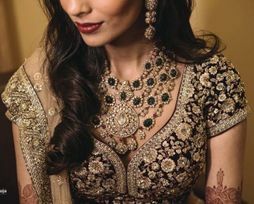 She paired her contrasting diamond and emerald jewellery with that beaded green necklace, which escalated her bridal look by leaps and bounds. 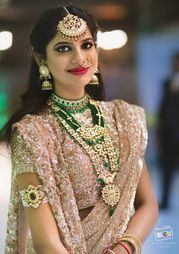 Another bride who did the temple jewellery choker- rani haar combo to perfection. Love how elegant it looks with her purple and pink Kanjivaram. 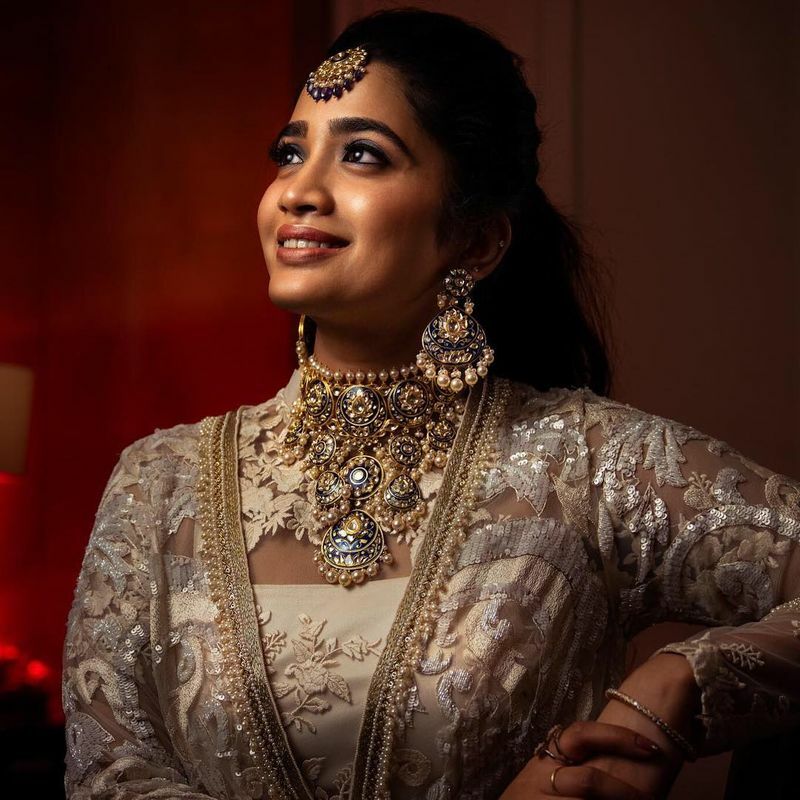 This actress bride's statement temple jewellery pendant! Just look at that offbeat and unique pendant- so simple, yet so bridal! And we love how the finish on the jewellery matches the work on her blouse and saree. Or this antique finish beauty! 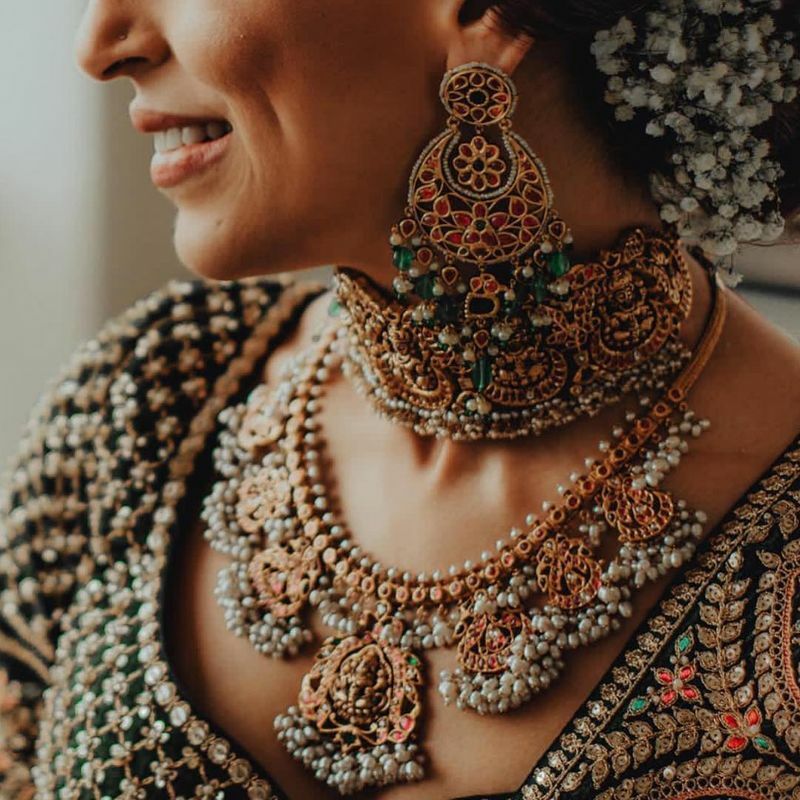 This bride's statement rani haar with the antique finish and temple jewellery work is beyond gorgeous! She paired it with a bib necklace that layered it out so well. Now that is one pretty fusion necklace- love the minimalism of the longer necklace, and the shades that contrast so well with her blouse. 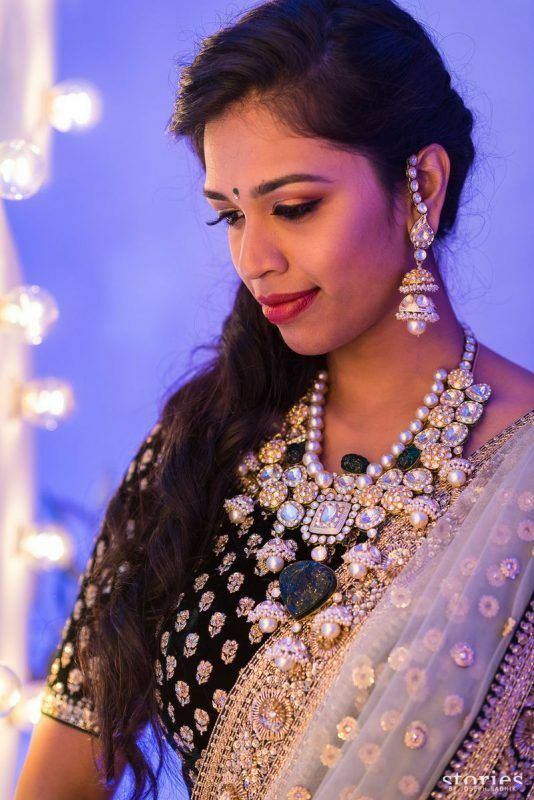 This bride's jewellery on her Sangeet with the blue enamel work stood out and how! 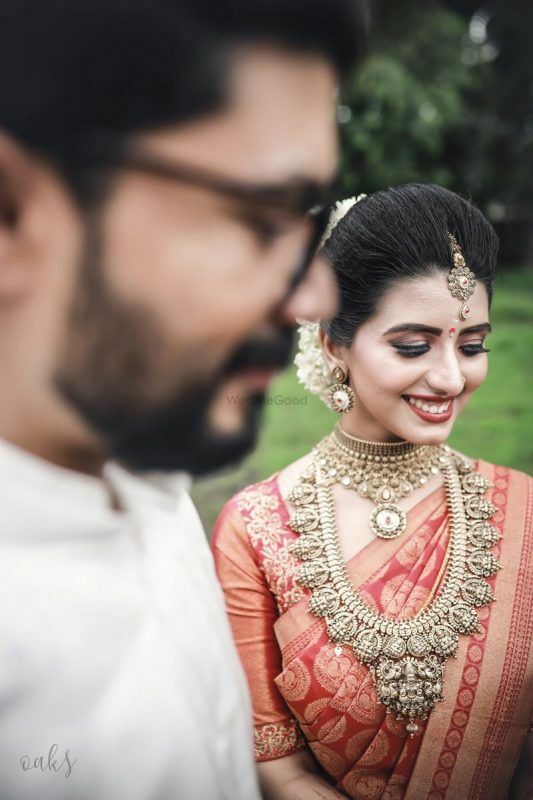 This bride kept her bridal jewellery minimal so that her outfit did all the talking. We especially loved her minimal mathapatti and that choker with a pop of green. 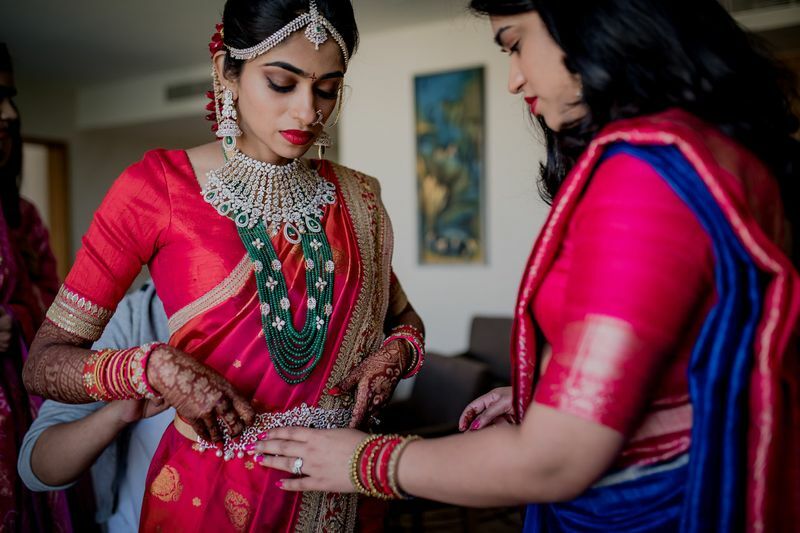 This bride's Meenakari work necklace made us do a double take, and we loved it! You don't get to see a lot of jewellery with black in it, but this one works so well. Now that's how simple and stylish is done. The pendant was a gorgeous piece of fusion jewellery that worked so well with her floral work lehenga. ALSO READ: #FirstPerson: "I created a fusion bridal look for my multi cultural wedding"
The Prettiest Jhoomers We Spotted On Real Brides! The Most Gorgeous Hand & Feet Jewellery We Spotted on Real Brides! 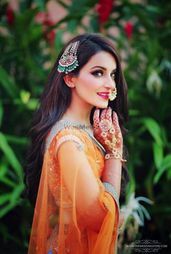 Prettiest Jhoomar & Passas We Spotted On Real Brides! 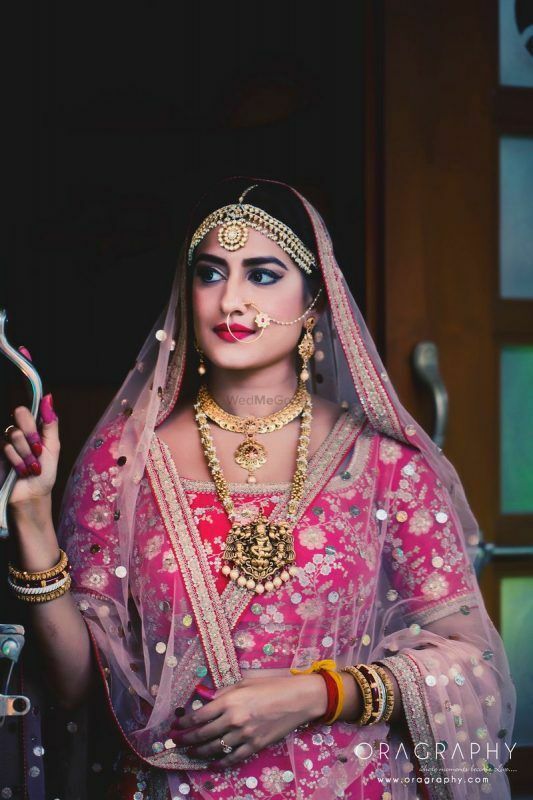 Brides Who Rocked The Most Offbeat & Unique Jewellery On Their Wedding Day! 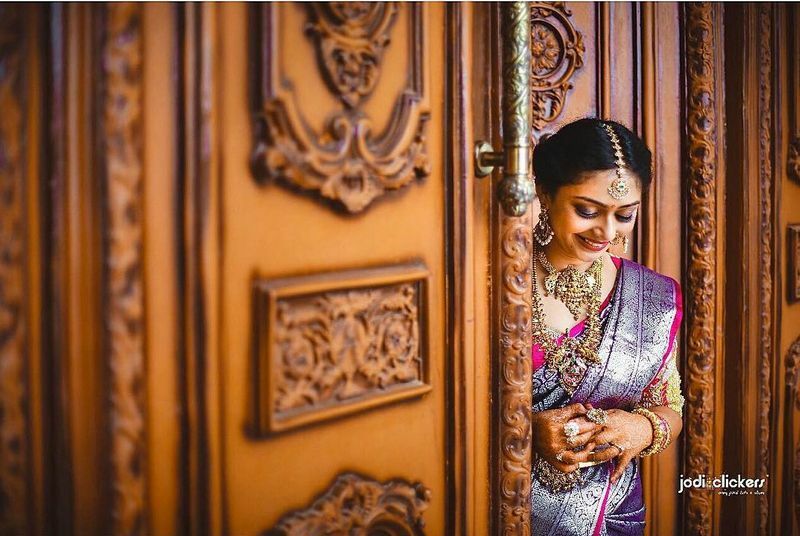 The Prettiest Haars We Spotted On South Indian Brides! 15 Best Waterfall Earrings Spotted On Real Brides !